Established in 1993, Casa Hogar Maximo Cornejo Quiroz is a local non-profit organization. This charity provides a shelter dedicated to improving the lives of orphaned, abandoned, disadvantaged or vulnerable children who were living in extreme situations. Casa Hogar supports 58 children of all ages, including newborns. This orphanage does not receive any help from the government. In order to function, the small staff running this facility depend completely on the patronage of donors, private sponsors and volunteers from the local community as well as from tourists on vacation who stop by to lend a helping hand. The staff at Casa Hogar believes that shaping a child’s life should be based on the security of knowing that they are valued, welcomed and loved so that they can learn to accept and face their reality with maturity and liberty. Every day both tourists and community members just pop on by the orphanage to volunteer and/or drop off donations. Most volunteers help out by interacting with the children. They hold the babies, play with the toddlers who love to have attention, assist the older children with homework, read or play games with the younger ones, etc. 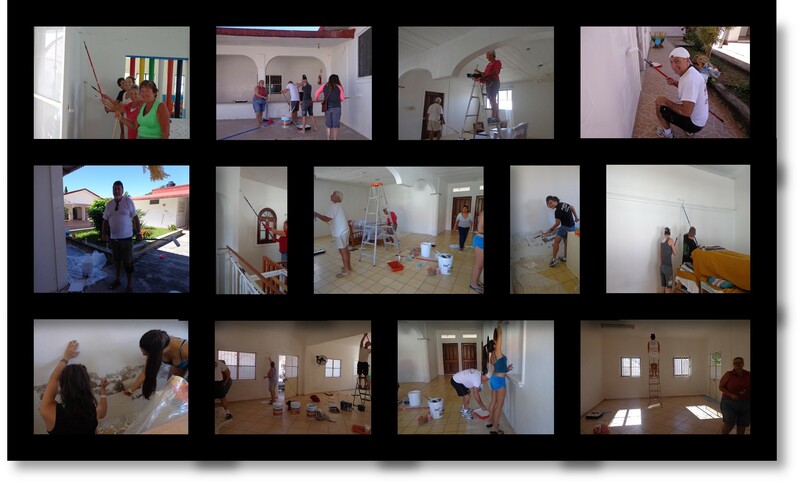 If you have a group of volunteers that would like to come in and assist the orphanage with building maintenance or another organized project, just contact Estefania. If it takes her a few days to respond to your email, please be patient and understand that she is super busy working at the orphanage and attending to the many needs of the precious children of Casa Hogar. Eggs, meat, chicken, milk, juice, fruits, vegetables, rice, beans, diapers, baby formula, cleaning supplies, laundry detergent, shampoo, liquid or bar soap, hand soap, toothpaste, toothbrushes, toilet paper, paper towels, napkins, etc. Many tourists who do not have time to volunteer will simply stop by Walmart, Sams Club or Costco to pick up a few needed items and then quickly drop them off at Casa Hogar. Monetary donations to purchase school uniforms are also very much needed. A school uniform costs about $20-$25 USD, and each child needs a set of two uniforms so that there is enough time to launder the uniforms between wearings.